CLOSEOUTS. 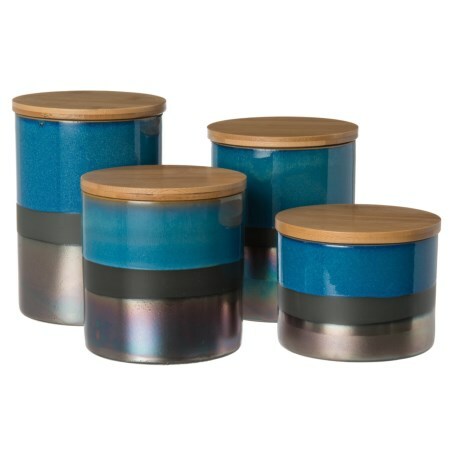 Jay Importsand#39; Abingdon canister sets store treats, flours, sugars and more. Crafted of ceramic with a gorgeous multicolored finish. Available Colors: GREEN/SILVER, BLUE/SILVER, CRÈME/SILVER.